Let’s just start on an honest note: my reaction picture game is weak. There, I said it. I barely use them, and meanwhile all around me are well versed in the finely-woven artistry of perfect facial reactions and those adored TV quotes. So if I go to the effort of trying reactions out for size, it’s for a notable cause. 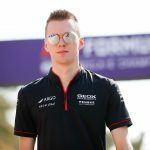 Envision Virgin Racing, Formula E’s leading outfit both in the Constructors’ Championship and, through the mastery of Sam Bird, the Driver’s standings, were the ones to bestow me said cause. 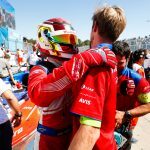 The team’s official Twitter account chose to gift a new song to their followers, and anyone else likely to stumble across a Formula E outfit on social media; not just any song, but their own song. A Christmas No.1, they hope. I responded, like any sane, sensible budding journalist would do – with a picture of a war criminal drinking poison in a courtroom. The sheer embarrassment I felt hearing the song, the constantly looking down to the ground hoping for a hole to swallow me up and leave my tainted phone behind made me feel it was the only reaction I could give. I still wish for the frog to be repressed into irrelevance within my mind, and for the lyrics to leak out of my memory reserves, but as the days have passed I’ve began to realise something: that’s a good thing. Joke all I want, but what Virgin tried was a brave, and key, part of growing Formula E’s fanbase and weaning future’s children off the gas pumps. To a distant time now (or at least it certainly feels so), when the innocence was pure and I didn’t even know of a smartphone, let alone one with poison-necking criminals saved on, I must travel back to one of my earliest memories. And it all centres around a blue Fiat Punto Sporting. A starry-eyed three year old me was gripped in, pffft, only the greatest Grand Prix of all time, my little Porsche 911 racing around the luscious grass of the front garden in a fashion only Max Verstappen could dare to pull off, and along came this modified Fiat. Those starry-eyes were now fixated on the bumbling, snorting and rustling tonne of metal and rubber in front of me. I was told by its owner, something along the lines of ‘bet you want one of these. Real car, real engine’. He was right. I wanted a real engine. I didn’t know of such intricacies as filling up a car at the petrol station back then, but all I knew was I wanted to make that engine roar, steer it with guile and enjoy the greatest joys spontaneous combustion has to offer. And there’s a point to be made in this; to prospective young car fanatics, who naturally lend themselves to racing, fuel is cool. It’s rad, it’s hip, and you want it in your veins. Fast cars, long winding tracks and that cliche sense of controlling the uncontrollable, fossil fuels are integral to it. But Formula E has gone a long way to show us all we need not have it be that way. I’m a wiser and sager person than those days of getting grass stuck in the wheel arches of toy cars, and have since lost that notion that fossil fuels make everything amazing. 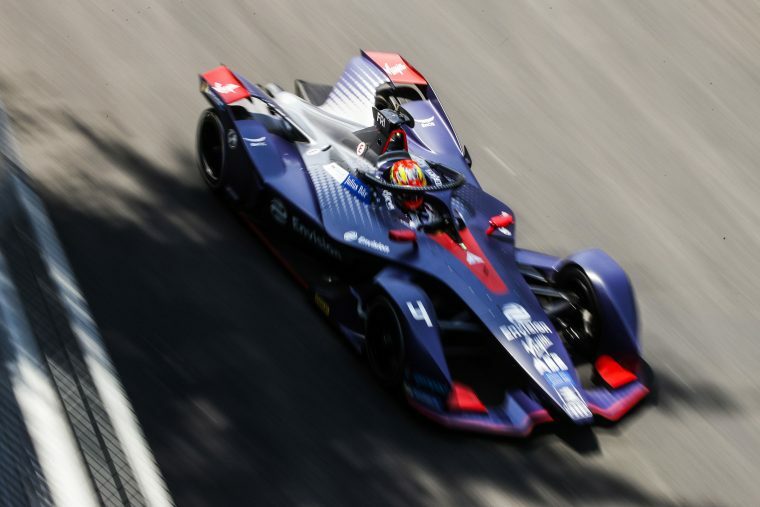 Formula E is some of the best racing that I’ve ever watched, and I’m not ashamed to say since it burst onto the scene, my anxious winters waiting for Formula 1 to come back have been easing year after year. And that’s the essence of Virgin’s really odd frog tweet: three year old me would’ve loved that. He’d have been giggling at the purple electric car whizzing around, wanting to know about what these brave racers are even driving and furiously flicking the pages in his torn Auto Trader hoping one day he’s nestled in that cockpit, and behind that wheel. Kids aren’t focused on the fossil fuels sparking life into the cars, we’re just told that by the boy racers and cool uncles who like driving done the ‘proper’ way. We’re focused on the cars. And Virgin attempting to make eco-friendly technology capture our hearts and minds is key to shaping us into the responsible, open-minded racing fans who can lead the way to a brighter future. Fossil fuels won’t be around forever, and Formula E is Exhibit A when it comes to showing those hooked on motorsport any dependency on the ol’ oil can be laid to rest. Give the kids a reason to believe it too, and we can all move forward. I might want to reach for the poison actually watching the frog, but so long as they make the youth of today reach out into the joys of alternative fuels, that’s all that matters.